CANADA 3 Dollars 2014 – Attends-moi, Papa. CANADA 3 Dollars 2014 – Wait for me , Daddy. CANADA 5 Dollars 2014 – Maple leaf avec marque privée ANA Chicago. 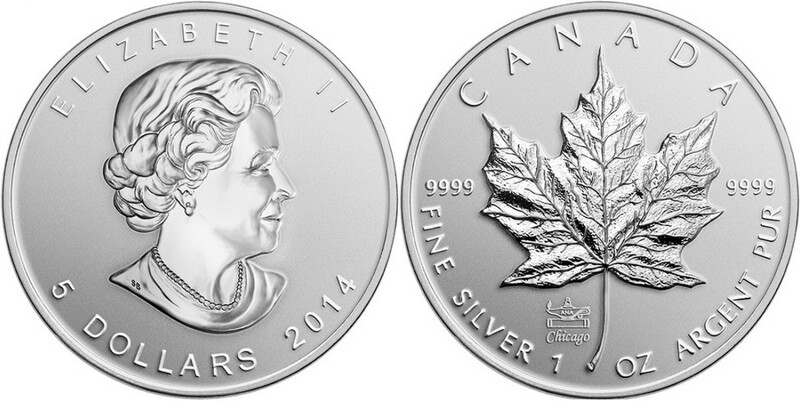 CANADA 5 Dollars 2014 – Maple Leaf privy mark ANA Chicago. CANADA 10 Dollars 2014 – Attends-moi, Papa. CANADA 10 Dollars 2014 – Wait for me, Daddy. 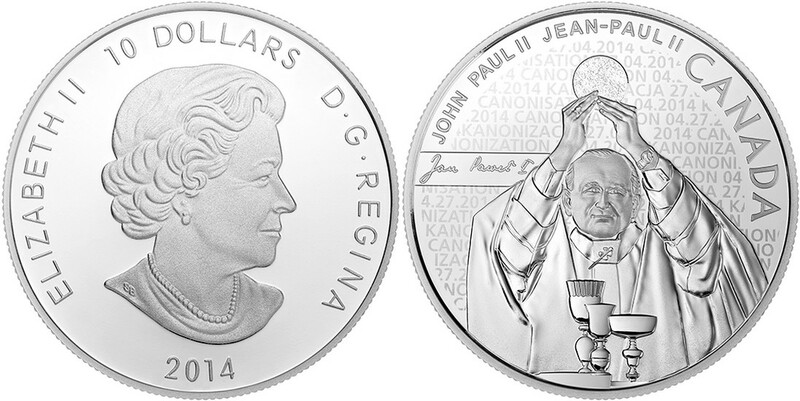 CANADA 10 Dollars 2014 – Canonisation de Jean-Paul II. 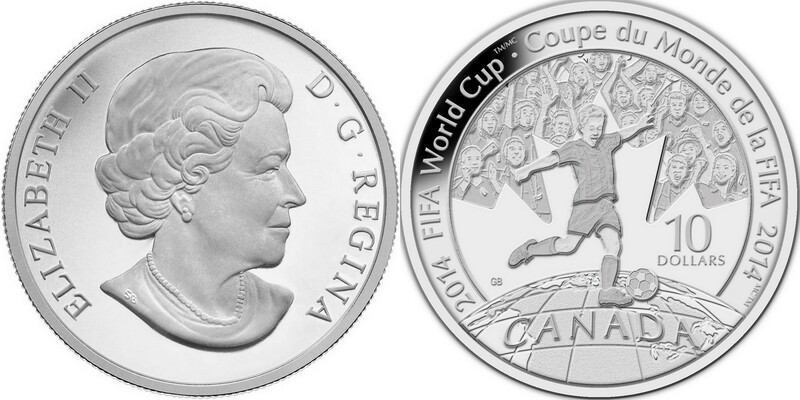 CANADA 10 Dollars 2014 – Canonization of John Paul II. CANADA 10 Dollars 2014 – Superman (1938). CANADA 15 Dollars 2014 – Superman (1972). CANADA 20 Dollars 2014 – 75ème anniversaire du ballet royal de Winnipeg. CANADA 20 Dollars 2014 – 75th anniversary of the Royal Ballet of Winnipeg. CANADA 20 Dollars 2014 – Superman (2012). CANADA 20 Dollars 2014 – 100 ans de hockey canadien. 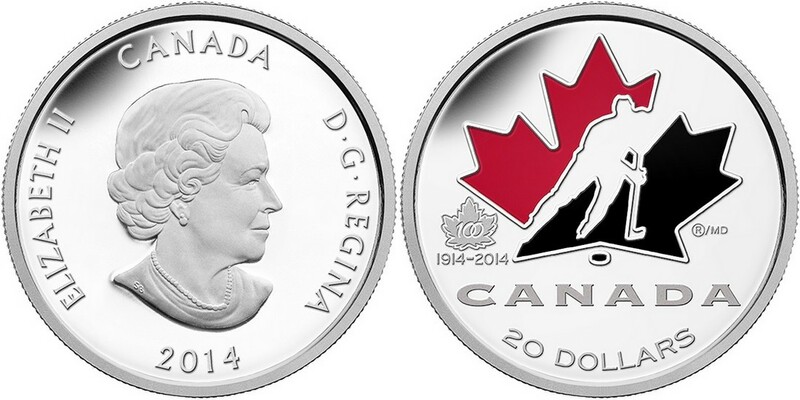 CANADA 20 Dollars 2014 – 100 years of the Canadian Hockey.